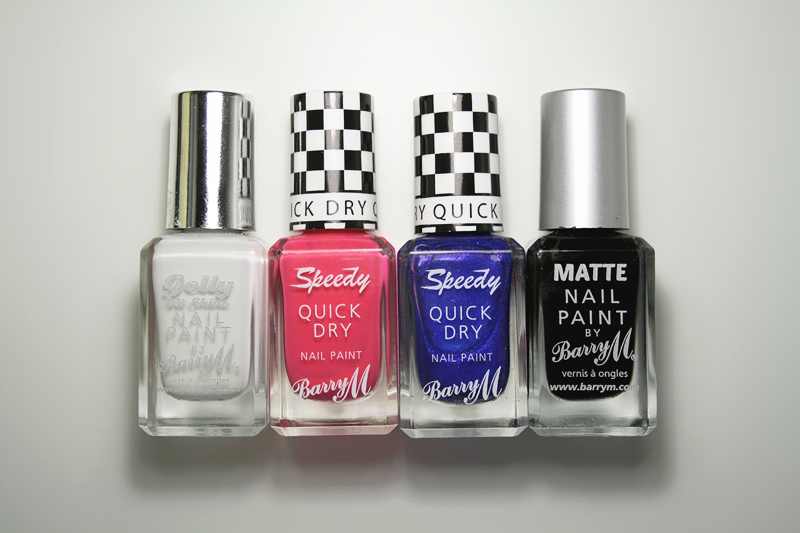 Polishes - For your colour palette, you need a white/off-white as your base, a pink, royal blue and black. I went for an all Barry M palette so I used Cotton, Get Set Go, Supersonic and (Matte) Black. You'll see the matte black featured a lot during this week. There's not a particular reason I'm using a matte black other than the fact is I need to buy regular black polish and this is all I have but it gets covered in top coat anyway so. Tools - For this manicure, I used a fan brush and a detail brush. 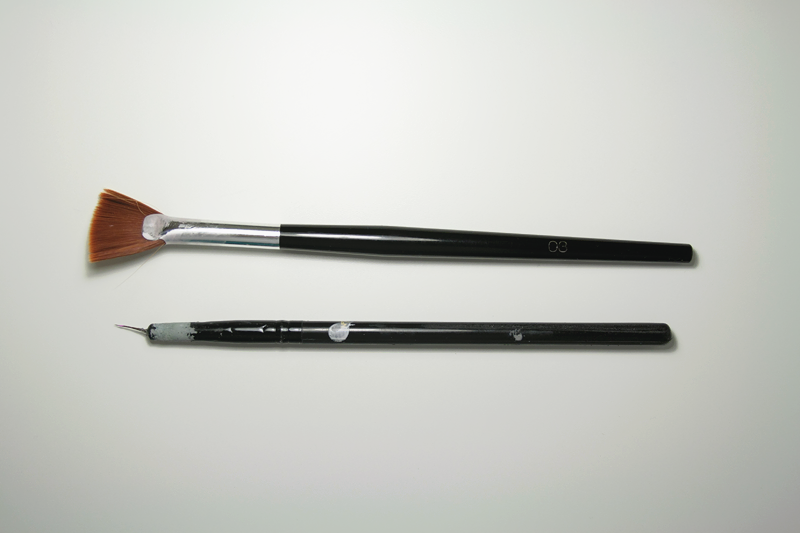 The fan brush is any one you get in a standard nail art kit and the detail brush is a cut down eyeliner brush but I'm sure you can find a better one already ready to go. 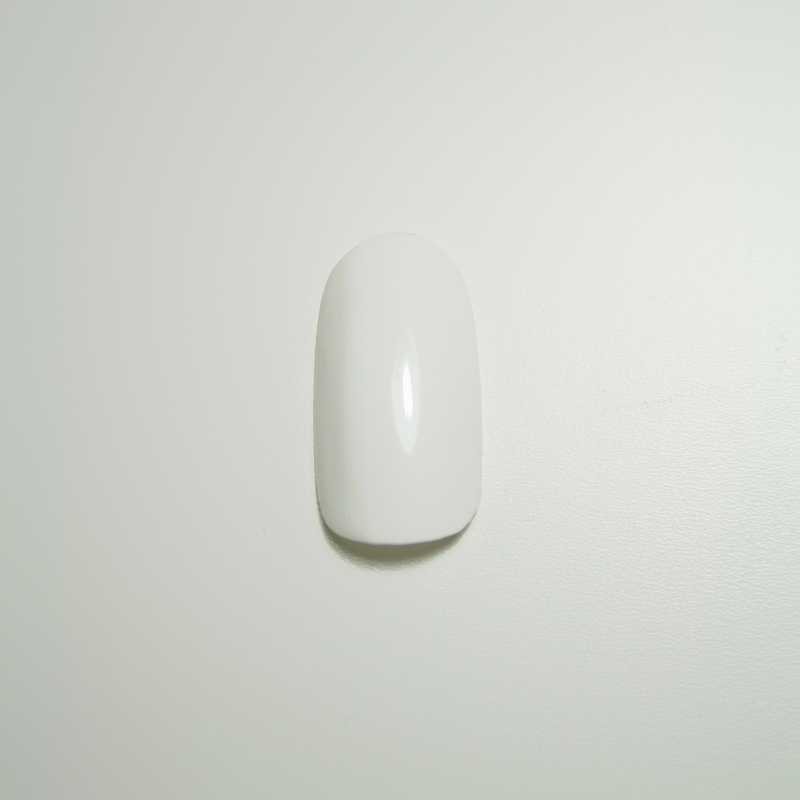 STEP 1 - After prepping your nails with base coat, paint your base colour until you get full opacity. With Cotton, this usually takes three coats. STEP 2 - On a piece of tin foil or a plastic tray, dilute a bit of pink polish with acetone or nail polish remover. 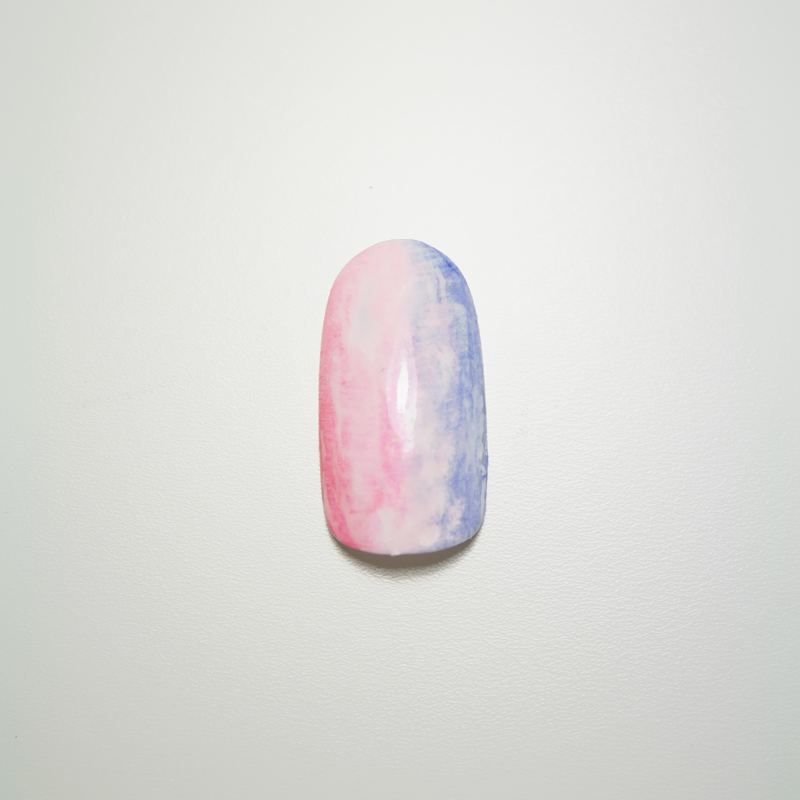 Mix with a fan brush and after getting rid of the excess colour, apply the fan brush from the left hand edge of the nail into the centre, building colour near the edge. 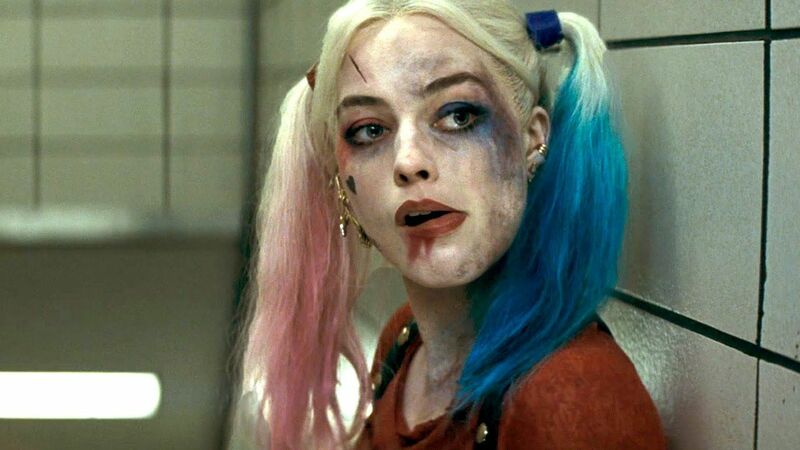 This does not need to be perfect since we are aiming for a messy, grungy look. Repeat on the other side with the blue shade. If there is too much colour meeting in the middle, then dilute some white polish and apply onto the centre of the nail with the fan brush. If you want a more distressed look, use nail polish remover all over the nail to create more distress but be careful not to use too much otherwise you will start to remove the base layer of colour (unless this is what you want). STEP 3 - Using a detail brush and black polish, put a black dot onto the nail. Using the fan brush dipped in nail polish remover, drag the black down and create a distressed dirty mark in the lower left side of the nail. 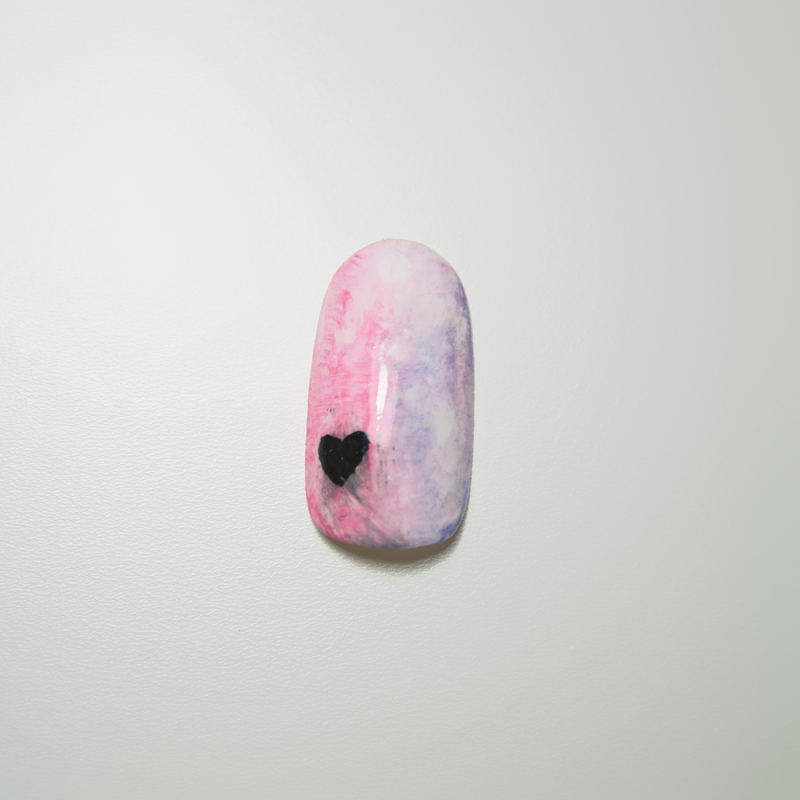 Using the detail brush and black polish, draw a heart on the lower left side of the nail, where the darker distress effect is. Fill in the black heart and leave to dry. Wait until all the nails are dry and apply top coat. I hope you guys have enjoyed the post and like this format because you'll be seeing a lot of it during this week! 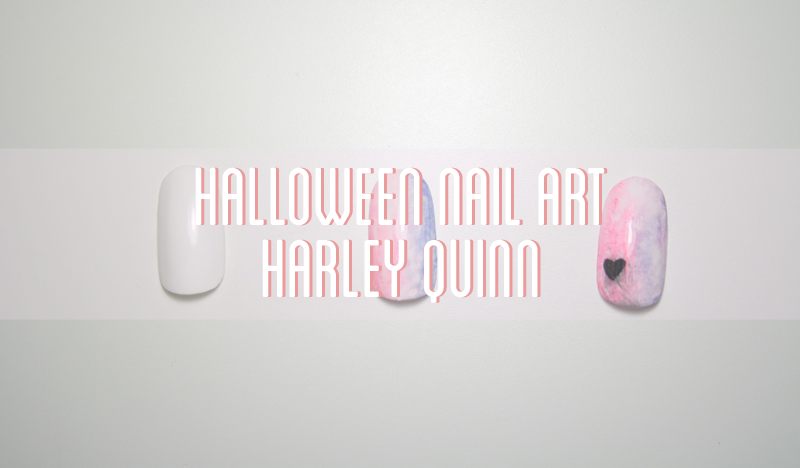 I wanted to open the week with what I thought was a current and popular costume that will hopefully be made all the more special with some cool nail art.